Four days of music movies: BBF's "Sundown in K-Town"
The BBF (Better Boys Foundation, for both boys and girls), one of the longest-serving social agencies on Chicago's West Side, is focusing on music films this week for its FREE annual summer festival, "Sundown in K-Town"—from Jazz to House to Hiphop. This Thursday Aug. 7, will be BLUES NIGHT, with a closeup concert video of real West Side Bluesmen in action, produced by this AWN blog's author and filmed a year ago right there at the BBF. Singers Willie D. Freeman and Larry Taylor bring you long years of good blues, from deep in the Delta to funky Chicago soul. Backing them up are Joe B and guest Jon McDonald on guitars; Curtis LaBon on drums; J.R. "Bootsie" Lee from the South Side on bass; and yours truly, Barrelhouse Bonni, on keys. Willie D and Larry cagily compete for the audience attention all evening, joining together to sing one final "Eeny Weeny Bit." 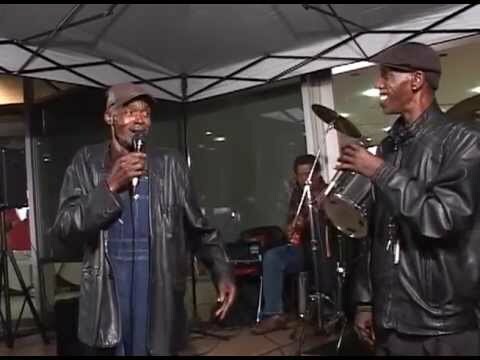 Chris Wilkinson's clever camera work on "Blues at the BBF" reveals not only every expression on the musicians' faces, but every clear note ringing through the night air. Doors open at 7 p.m. with light refreshments, followed by the film screening, 8 to 9 p.m. I'll host a discussion panel afterward featuring Darryl Pitts, TV producer and creator of the documentary "Reel Black Love" about African American movie romance; and West Side bluesman Larry Taylor. We'll be joined by a student from BBF's after-school film lab, which draws many talented neighborhood teens. Sundown in K-town is co-Hosted by BBF and Facets Multimedia in partnership with the Hot House and funded in part by the Illinois Humanities Council. The author thanks BBF for making us a part.